Limiting myself to only five books was a bit complicated but I decided to only put books that I’m very excited about and that I would really love to read before the end of the year. 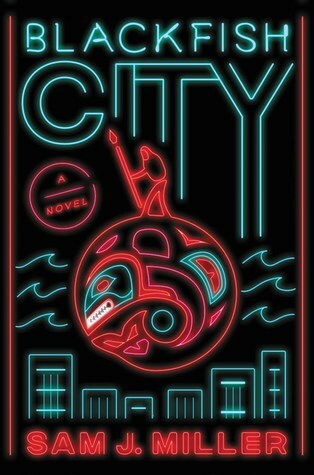 I read and loved New York 2140 by Kim Stanley Robinson last year so I’m excited for his new book. 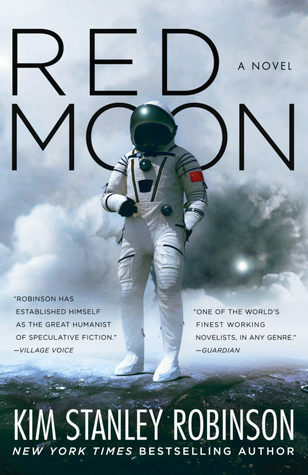 I would love to be able to read it for Sci Fi Month but I’m not sure I’ll have the time to do so… I love books set on the Moon and I really admire KSR and his crazy ideas so I’m pretty sure I am going to love that book. Sam J. Miller is one of my favorite short fiction writer and I still haven’t picked up any of his longer works. Between his debut, The Art of Starving and Blackfish City, Blackfish sounds more to my taste. It’s a climate fiction story set in a floating artic city and I’ve heard amazing things about this book. I’m expecting it to end up shortlisted for quite a few prizes in 2019 so I might as well read it now! This book is on my SciFi Month TBR so if I stay on track, I should read this book before the end of the month. 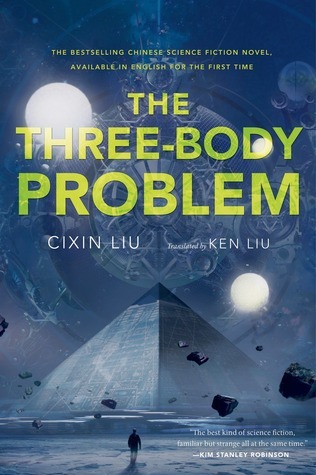 I’ve been meaning to read this one for years, all the books of the trilogy are out and it sounds right up my alley, so I don’t know what I’m waiting for. I received an ARC of this book about a year ago and I was meaning to read this book right when I got it but, I don’t even know how, I managed to completely forgot about it. However, it came back on my radar a few days ago when someone recommended Nagata’s books to me. 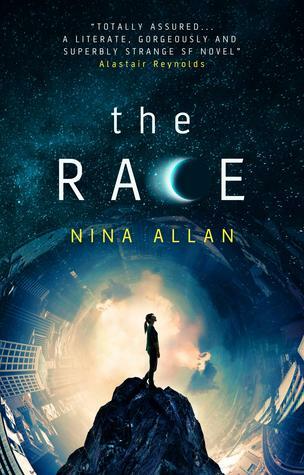 It’s another book that I would like to read for Sci Fi Month and, if I don’t manage to read it this month, it will be for December for sure, it has waited long enough! I preordered a copy of this book months before its release in 2016 and, as you may have guessed, it has been sitting on my shelves ever since. I’ve read a couple of novellas and essays by Allan and they were all brillant so, again, I know I will probably like this book quite a bit. I just have to read it! Amazingly enough, Ancillary Justice isn’t on this list because I finally read it earlier this month! I know, shocking right? (Spoiler alert: I enjoyed it as much as I expected to! 😀 ). This trilogy was recommended to me by my sister because she had to read for an English class and thought that I would liked it. As a matter of fact I did, the Hunger Games trilogy probably being my favorite trilogy of all the time. I know that it is not the best books out there but they were my first YA books that I read in English and I was so proud of myself to be reading in another language at the age of thirteen. I had to buy Catching Fire during a school trip to London because I couldn’t find it anywhere in France. I reread the first book about six or seven times. I reviewed this book about a week ago and I should have a review of the second book, Europe at Midnight, coming later this week. I first heard about those books on The Coode Street Podcast, which is now probably my favorite podcast. Those books are incredible and I can’t recommend them enough. If the SF/espionnage/political thriller combo sounds good to you, you should probably give the Fractured Europe Sequence a try. you won’t regret it. 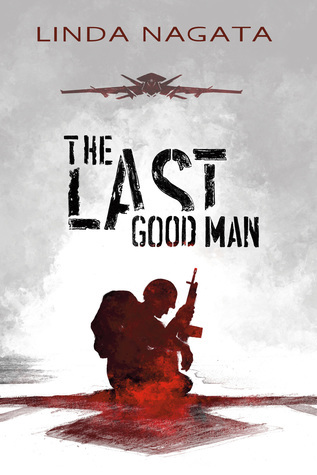 I decided to pick this book up because of the awesome review made by Thomas from SFF180, the review was amazing and the book was my favorite book of 2015. This was the first book I read on my own. I read this when I was six years old and it is the book that turned me into a reader. It was recommended to me both by my sister and my parents. This book wasn’t exactly recommended to me. I had to read it for an English class in high school and I didn’t want to read it (not that I had a say in that matter :P) because I watched the beginning of the movie and I knew how it would end. However, when I said that to my dad, he told me that Krakauer was one of his favorite author/journalist and that he thought that I would probably enjoy it as well. He was right, Into the Wild is definitely one of my favorite books too. Thank you Dad (and thanks to my Englih teacher too haha). What about you? What are some of your favorite books that were recommended to you?